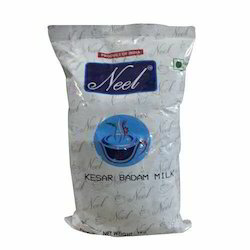 Prominent & Leading Manufacturer from Mumbai, we offer instant hot chocolate premix, kesar badam milk premix, saffron almond milk premix and ukala milk premix. Hot chocolate Premix is an all time favorite, healthy and refreshing drink for people of all ages. Made from premium cocoa powder and milk powder. Its a rich beverage with substantial nutritional benefit. 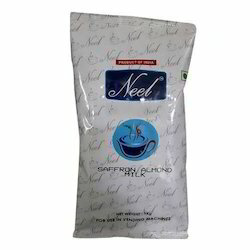 Prominent & Leading Manufacturer from Mumbai, we offer saffron almond milk premix, kesar badam milk premix and ukala milk premix. Saffron Almond Milk Premix is loaded with goodness of almonds and saffron and is a treat to sip on. Check out this super easy to make it at home and enjoy it either chilled or hot. 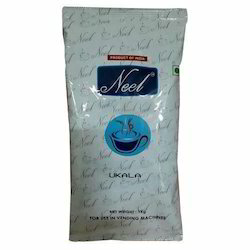 Milk Solids, Tea Extract . Antioxidants can help slow down the aging process, and help cells regenerate and repair. Many studies suggest antioxidants also assist our bodies in preventing cancer. Black tea can reduce the effects of stressful events by lowering the amount of the stress hormone cortisol in the body. Compounds in tea are capable of killing or suppressing growth and acid production of cavity causing bacteria in our mouths. Every cup of tea you drink, especially low or no caffeine varieties, counts as a cup of water with the added bonus of providing antioxidants as well. Tea can help prevent formation of dangerous blood clots which are often the cause of strokes and heart attacks. Drinking green tea daily can reduce your risk of hypertension by up to 50%. Tea has been used for thousands of years as an after-meal digestive aid. It can also help relieve stomach cramps. There is some evidence to suggest that green tea might help to lower the risk of getting Type 2 Diabetes. An Egyptian study testing the effects of green tea on antibiotics found the tea to enhance the bacteria killing effects of the drugs.